That's right, the nice folks over at Nicalis have just released an amazing updated remixed Cave Story soundtrack and it's now available for download completely free of charge. You can click here to download the 3 disc zip file. We'll keep you posted on any new announcements regarding the upcoming European release of Cave Story and if you're still undecided on a purchase, you can always check out our review of the game to help you make up your mind. Sweet! 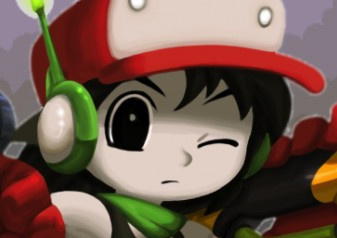 I love the music in Cave Story, not to mention my high affinity for anything free. Downloading now. Might be worth a listen. Sure, it's "free", but I had to pay my ISP to access the internet. Oh boy, now fix the music in the game. Still not on my good side, Nicalis. Wow, tough crowd today. I guess it's fitting that I changed my avatar. Awesome! Free music! I just hope that they didn't mess with the pieces from the original game too much. Any news on if they're going to patch the in-game sounds? Sorry, there is currently no news on an update or patch. We'll let you know if we hear anything down the line. I'm listening now and is is SWEET!!! I would have paid to have this. Expecting a patch for a game on Wii is like expecting a pear to turn into an apple; it doesn't matter what you'd RATHER have, you're stuck with the inferior model. Obviously, this analogy fails if you prefer pears to apples, but if that's the case, you're crazy anyway. Now, all that said, I do want the game patched as well. I just know better than to expect it. There's a difference between expecting it and merely asking about it, Stuffo. At this point, I think folks are more hopeful than anything else. Might as well download it while it's still FREE. I think its funny when people complain about something free...I mean, if you spent you're hard-earned money on it, then that's a different story. I know I will be giving that album a download. Sweet! I've been looking for Cave Story songs. Woot! Thanks alot for this! Here's hoping they patch the game, I'm sure it's possible (wasnt Konami able to do it with Gradius Rebirth? So it can be done). Well, as everybody has been saying, a patch would have been the ideal thing. But at least now we get to hear the remixed soundtrack the way it was meant to be heard. And considering how mindblowing the Cave Story soundtrack is, this is quite awesome. Wow, as a Cave Story superfan (the OST is my favorite ever) this is slightly amazing. Thank you so much Nicalis. I actually enjoyed the new music they put in the Wii version. I know I'm in the minority on that one, but I think it was a bit moodier. Yeah, probably not true to the graphical presentation, but, y'know, it's WiiWare in the end, the music didn't hurt the experience for me, I'm a fan, so Save As. So, not exactly the game music, but, you know, I dig it. Awesome work. @Chicken: Okay, so replace "expect" with "ask for." Same end result. People aren't complaining about something that's free, they are just still upset that the game hasn't been patched yet after having been out a while. I know the system nintendo has in place isn't the best for having patches but it has been done before and its something this game could really use. For those of you who didn't like the WiiWare audio--we know and we're sorry it wasn't what you wanted. We should have some news for you maybe in the near future. If any of you are at TGS, please stop by and say hello. I've already downloaded the Cave Story Remix Project some time ago from here. And I don't want to download 133MB again because my internet connection is slow as a snail. So, to make it short and clear: What's new in this updated version? When will CS release in EU? @jbrodack: replies 2, 5, and 7 say hello. Why, oh why, is my computer so slow? @Corbie Love the new avatar. Wowza this music is awesome! How could anyone not love this music? Really nice music, thanks for the link! Will they hurry up with the eu release. I also don't recognize any of the audio "glitches" people keep talking about except one, which is when too many exp crystals are bouncing around and it causes a rather loud, ringing interference. A minor annoyance. I've always kinda wondered if people just mistook the fact that the redone music is a bit "different" for it being messed up somehow. Would anyone care to explain to me exactly what these issues are supposed to be? So you'd like a patch yourself, but feel it important to act snarky when somebody else asks if we're getting one? Well...whatever floats your boat I guess. Yay, I love Cave Story! DOWNLOAD POWERS ACTIVATE!! Some instruments, such as the percussion, are missing. In fact, some of the people who worked on the arranged music for the game said it's not playing back the way it should, plus the problem was acknowledged by Nicalis themselves at some point. No need to hurry any more. They failed to release it here in EU before Metroid and I'm not buying it anymore. Even the good sh*t gets old, while travelling to EU, which many publishers must have learned. It also took ages to be released in the US, but it eventually appeared. Now, you Europeans are lucky because you'll get an updated version of the game (whenever it's out, of course). I think the best course of action is not to lose your sleep waiting for it - It probably won't be out until the holiday season anyway. So just forget about it, play other games, and let it be released whenever it's released. Then rejoice. In game it's a tough call. The original soundtrack suffers from low quality yet the updated soundtrack ruins the songs. The PC version feels better because the original soundtrack still sounds good. It's almost like they are running a highpass filter on the Wii version because it's muffled in comparison. Haha, wow... I'm actually kind of amazed at how many people are complaining about this. Then again, haters are always gonna hate. I say thumbs-up, especially to Tackle's version of "Grass Stains". I'll air-guitar to this all afternoon instead of doing my homework. I meant, that the need for Metroidvania greatly decreases, when Other M arrives. @Varoennauraa I can assure you that Cave Story is not a generic "Metroidvania" experience. It's completely different from Other M and has more than enough originality to stand on it's own as a very unique experience. I'm positive you could have room in your gaming appetite for Cave Story. @Chicken: It is within my nature to spread the bleak realism of hopelessness, yes. I would like an update, but I don't see as it's worth asking because I VERY much doubt it'll ever happen. As a result, I never got to finish the game. Same thing happened with Lit. I hate seeing Europeans complain about massively delayed releases when they get the versions that work correctly, and we don't. Okay, so I just got a chance overlapped with a memory to actually download the music, and it IS awesome...don't want to downplay the quality of the free download just because I find the actual game's situation frustrating. @theblackdragon that didn't even make sense. I'm thinking you're saying my comment was redundant but I don't see that from messages 2,5, or 7. @theblackdragon sorry, don't know how I read that wrong. You did get me there though 5 might be meant as a joke. Still, the main idea of my post was that the general negative reactions here are more from the main game remaining unpatched and the fact that to people who paid for the game its just not good enough. Had this been released after a patch fixing the music and such or if those problems weren't there in the first place there would be much more acclaim and positive reaction for this free release. What has the Cave Story Remix Project to do with the WiiWare version of the game? I mean, it's not the soundtracks fault that there are these sound bugs in the WiiWare port. And as far as I understand, the 29 tracks from the CSRP are not composed and not even remixed by Nicalis. ?? ?